We have all have seen the images of Prince Harry and Meghan Markle looking so lovingly at each other. Their eyes, smiles and exuberance naturally show what we all long for — the bliss of being newly engaged with promises of everlasting love. There is simply no other feeling quite as exhilarating as love. February is the month of love. What a perfect time to recommit to yourself and your beloved and to recapture and revitalize your passion — to feel again what you experienced as you fell in love and felt so loved in return. Impossible, you say! It’s within reach for all — both singles and couples, even those who have grown comfortable in their relationship over the years. The power is in making conscious choices to show love in various ways each day. Even if your partner is not quite willing to show these acts of love, you can enhance the quality of your relationship. Make times together fun and enjoyable: It’s not the amount of time spent together; rather, it is the quality of time — how good that time is. Are you laughing, talking, sharing jokes, details of your day, and engaging in activities together? A simple walk can be a time to hold hands, talk about hopes and dreams, and share the beauty of nature. It can also be playing a game together or rooting for your favorite team. Labors of love: Anything you do that makes life easier for one another is an act of love. It can be taking out the garbage, offering a cup of coffee in the morning, or even surprising your mate with a freshly washed car. Giving gifts: Although you think of chocolates and flowers for Valentine’s Day, how about bringing home a delectable pastry, preparing a favorite meal, or buying a special item that your partner covets. Large or small, it’s the thought that counts when you begin to surprise and delight your grateful recipient regularly. Listening and talking “heart to heart:” When you each fully understand with both your hearts and minds, you have empathy (the ability to sense what your partner is experiencing) and have the capacity to be emotionally supportive. The more you “get” each other, the more you have each other’s back, which paves the path for intimacy. The highest form of love is intimacy. It is the ability to not only give and receive love but to be so trusting of each other that you can be your real selves and be vulnerable to each other. Intimacy can be described as “Into me you see,” a state of genuineness and transparency where you each can share your deepest thoughts, feelings, and dreams. Love is a verb to be shared liberally each day. May you act on love each day, towards yourself and those around you! Mamiko Odegard, Ph.D., is a love and relationship coach in Scottsdale, Arizona, and is the international best-selling author of “Daily Affirmations for Love,” and married to the love of her life for over 40 years. 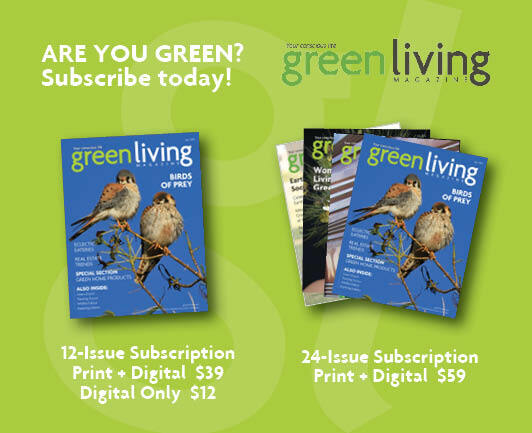 Stay up to date on the latest stories to help you live, work, and play green by subscribing to a print or digital subscription of Green Living Magazine.